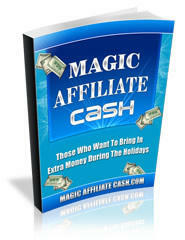 When I first got started with affiliate programs I had little guidance, - so I joined every program I could find. Once again, the expression 'less is more' can guide you here. Part of the problem with wholesale membership in affiliate programs is the tedious task of managing it all. Remember, - that whenever you join an affiliate program you have entered into an agreement that will require some of your time to manage. If you overdo it when joining programs, you will be inundated with email. And this eventually leads to either neglect or overwhelm! But, you can avoid the hassle I had to go through by preparing a short list of potential advertisers before joining ANY of them. Then join them all in one sitting.